We go an existing vmware virtual image & would like to load into Nutanix AHV. To do so, here is a simple step. 4. Voila ....done. the image has successful to uploaded. 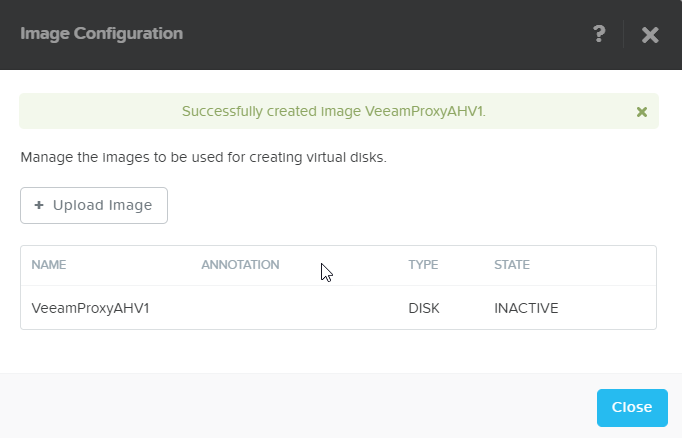 Nutanix AHV will convert the disk and when state is ready, it will display "ACTIVE"
You can use the same method for uploading ISO files. Once uploaded, you can create a new VM using this image.